What is a "part chest"??? JEI has the recipe I just have to press 'u' on Blank Pattern to find it, here's a screenshot, the bottom block is wood plank. Can anyone tell me if stone spikes give me rib bones from skeleton? The quest doesn't accept Coarse dirt, but that's the only dirt you get at first if you're on the sand island, is it possible to make it accept coarse dirt or change the recipe for turning sand to dirt to make it actual dirt? could u please remove the bowl with water from the quest rewards, because every time u get one from the box it floods everything assoon as u close the reward accept screen. how am i supposed to get sugarcane on a snow island in 2.5.5.5.
the only recipe i can see isfor lifeinfusion is insane with a glistering melon. You're not supposed to get it until you can do that infusion. You can get paper with sawdust you get by using rock grinder on logs and you can get sugar with rice in Actually Additions grinder. Love this pack, so much to do and the challenge level is just right for me (on normal mode at least). One question about the removal of the FTB guide, does the quest book replace that as the "guide"? Since the pack seems designed to require a specific progression line I found the guide helpful, but since it's removal I've been a bit unsure where to go next (I was just starting on evilcraft). If the quests do replace the FTB guide, is there a way to register the quests I completed before the quests were added? I find that I have to craft a lot of things over again (versus just dropping and picking them up, which works for me as I'm a pack-rat), causing me to waste resources. In any case, thanks for your efforts and the great pack! so basicly what your telling me is that i cant get something as simple sugar until late game? And yet Sky Resources way is available. Actually, I didn't even notice that you can get it from rice because I had no need. 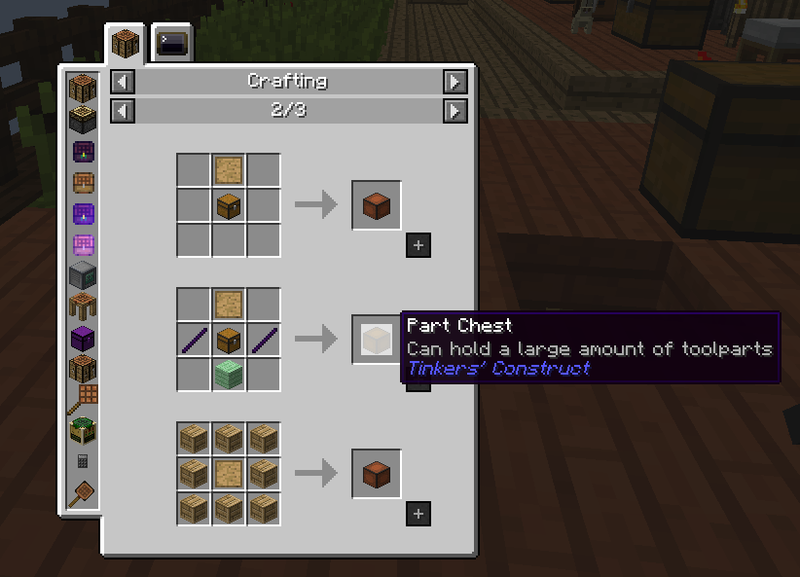 Wait until you try to make a piston. Now that will make you cry. What do you need to do to unlock twilight forest on expert mode? Can get sugar from witches. I have stone spikes and an ender hopper (the one that takes a couple of obisidian, pearl, and hopper) and have collected one. I plan to use that one to make 8 vector plates. That will speed up my farm and hopefully get more sugar and other drops. Edit: If you're struggling to move forward, keep in mind that iron is king of moving forward. Once you get it, you can move up to secundus dust and iron casings and such. That will start you towards having enough resources to not be starving for them. I'm sure higher tiers are even better, but iron seems to be the big turning point. Get sugar from rice. Also the chemical reactor isn't even close to late game. Check JEI to be sure, but I think that's a dragonstone. Am enjoying playing this pack in Expert mode but I am having an issue. Can't work out how to get obsidian to go to the nether so I can get a blaze rod to finish off my flawless calculator so I can get obsidian. Also resource void miner needs chorus fruit but to get chorus fruit I need the resource miner unless I can go to the end to get chorus fruit which is probably quite late game. These anomalies are causing me to go round in circles and get now where fast. Am I missing something? When you make each change to the pack do you then play the pack from the beginning with the changes cause if you already have something it is easy to go on from there but not to anyone starting from the new updated pack?